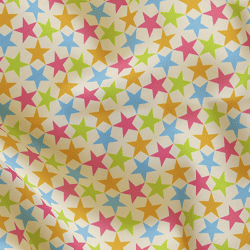 FURTHER INFORMATION, PLEASE CONTACT: press@spoonflower.com. 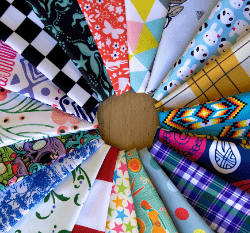 METHODOLOGY: Spoonflower crunched the data from nearly 200,000 recent purchases by its customers of custom fabric, wallpaper and gift wrap – and organized them under categories that each represented one design style. 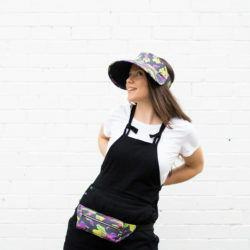 In order to avoid the biggest cities topping the the rankings for each style simply due to having more people, Spoonflower weighted the scores by calculating the number of customers for a particular in any given city by the total number of Spoonflower customers in that city. That gave a better measure of the popularity for each style in any city and identified the city where each style was most popular. Analysis San Diego, on the doorstep of Mexico, makes a fitting U.S. capital of Aztec designs. It is the historic home of the Native American Kumeyaay people of the southwestern U.S. and northwest Mexico. The independent student paper of San Diego State is The Daily Aztec. 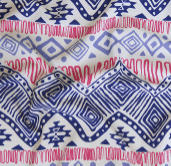 Aztec designs tend to feature geometric motifs like triangles, zig-zags and diamonds, with vivid use of either bold or pastel colors. Some major clothing retailers picked up the Aztec aesthetic a few years back and helped it enter the mainstream. 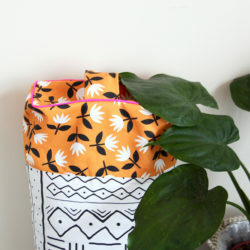 The result is that purchasers of Aztec patterns on Spoonflower may now also be younger people with no ancestral links to Aztec culture but who simply like the smart, earthy, closer-to-nature vibe of Aztec design. Analysis The strip of black and white checks that for so long adorned the yellow taxi-cabs of New York remain an iconic symbol of the city. 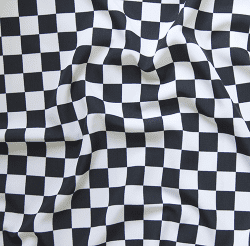 But black and white checks are also popular in such big-city subcultures as punk rock, skateboard and Ska. More colorful checks are a classic pattern, which can make a bold but perhaps more mainstream style statement. 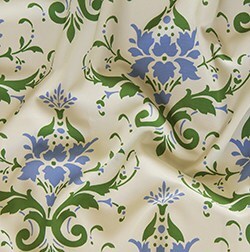 Analysis Damask is a design classic, whose popularity has lately been boosted by its appearance in the BBC drama series, Sherlock. It has something of an old-world feel and, like Milwaukee, a strong European heritage (even though its name comes from the Syrian city of Damascus, an historic center of textiles). 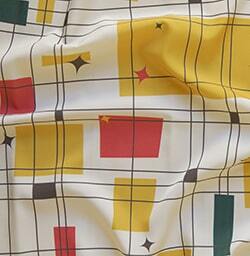 Down the years, it’s been used to make drapes, upholstery, tablecloths and wallpaper. Nowadays, some younger folks also use damask to give their home a more traditional feel. 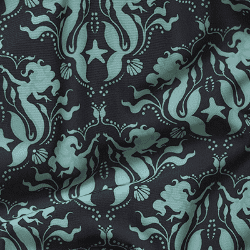 Many of the damask designs on Spoonflower are dark, evoking the style of an elegant but sedate Victorian house. Analysis Portlandians are known for thinking small. They make it their mission to buy from small businesses, regional artisans and anyone resembling the little guy. 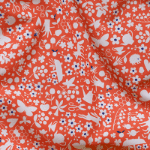 Ditsy designs are celebrations of smallness and therefore perfect for Portland. They fizz with a riot of small, scattered motifs – traditionally floral but also sometimes small animals, insects, hats or whatever else. 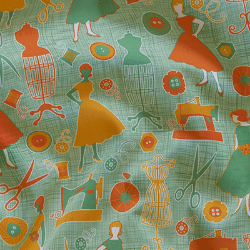 If you want to picture a lover of ditsy, then imagine, say, a crafty Portlandian with a flair for retro dress patterns – someone who prefers small details to bold patterns and feels, above all, that small is beautiful. Analysis The nation’s capital is also its capital of floral décor. Floral designs are traditionally but still widely popular – perfect for couches, curtains and entertaining guests of all political leanings. 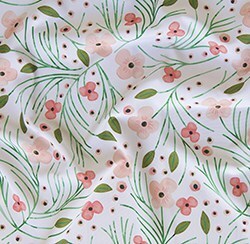 The color palette of floral designs on Spoonflower is varied but many feature bright, stereotypically feminine tones, with lots of summery colors, likely to appeal to old and young, Republican and Democrat – perfect for brightening up a gathering otherwise depressed by too many sombre grey suits and drab ties. Analysis Geometric designs feature motifs including chevrons, arrows and triangles. 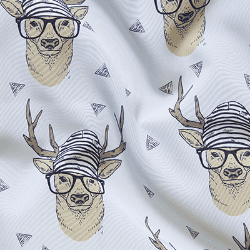 They are frequently seen on Spoonflower mixed with animals, such as deer, bears and cats. 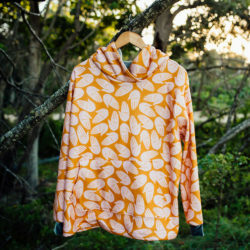 Many young designers seem drawn to the minimalism of angular, geometric shapes. Such designs are popular across the country, though nowhere more so, it seems, than in Midland, Texas. But then Midland is known as the “Tall City,” noted for its skyline of tall, geometric buildings (as well as for being the hometown of the Bush family). Analysis Who knew that the nation’s political capital would turn out also to be its capital of hipsters, or, at least, the city where décor with hipster motifs would sell best? Yet, it does by some margin. Is it thanks to what’s been called the “hipster caucus” – such hip congress members as Rosa Delauro, Earl Blumenauer, Kristen Sinema, and Al Franken? More likely it’s due to a bunch of hipster neighborhoods, led by the H Street Corridor, big with politico hipsters and recently named by Forbes among America’s top hipster hoods. 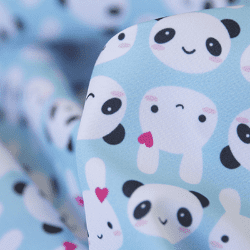 Analysis The Japanese cutesy style of kawaii – the Japanese word for cute or pretty – typically features brightly colored designs showing diminutive animals or characters from popular Japanese cartoons and “animes” (animation shows enjoyed by both adults and kids). Orlando, home of Disney World, seems an appropriate capital of kawaii – a sort of Japanese answer to Disney perhaps, with its own Nipponese blend of cutesy cartoons and adorable animals. Analysis The architectural and design style known as mid-century modern is where modernism first met the suburbs of post-war America. With its nods to Bauhaus and the International Style, it may have been cool in the 50s but is nowadays hot. Its color palette includes yellow, red, green, blue and pink, often mixed with natural wood and white. Denver turns out to be where mid-century meets the Midwest. Like mid-century modern itself, Denver is cool, stylish and artsy – teeming with galleries, while blending Midwestern cheer with Californian chill. It also boasts lots of millennials and young families wanting to give their homes that certain retro-modern twist. 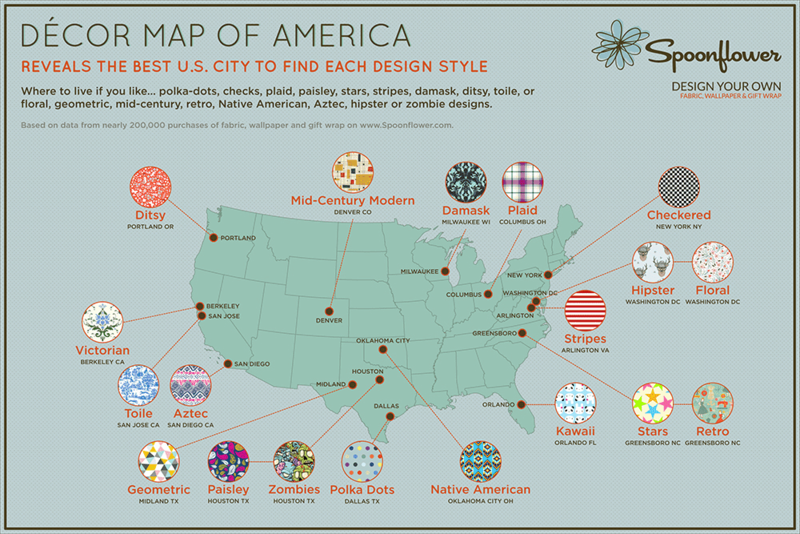 Analysis Where else would you expect to find America’s biggest purchasers of Native American designs than the capital city of a state where some 40 Native American tribes have their homes. 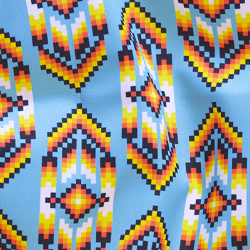 It’s not clear whether such designs are being purchased mainly by Native Americans themselves or by other Oklahomans inspired maybe by the Great Plains vibe but also by a more mainstream version of hipster culture, which gives them a fondness for teepees, feathers and other Native American motifs. Analysis Paisley has Persian and Indian roots and a Scottish name but paisley kerchiefs were long, of course, the neckwear accessory of choice for the well dressed cowboy. 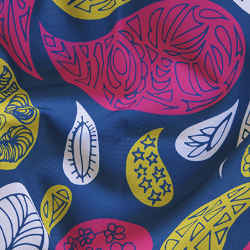 This helps make paisley one of the more gender-neutral design styles on Spoonflower. So, while paisley may lately have fallen somewhat from favor with fashionistas, Texans stay true to both it and their cowboy heritage – nowhere more so, it seems, than in Houston, their biggest city. 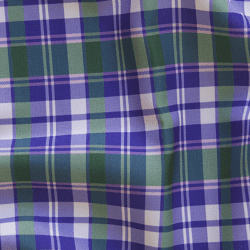 Analysis Plaid is the North American term for what the Scots, who invented it, call tartan. With its vertical and horizontal bands in multiple, criss-crossing colors, plaid manages to be both utilitarian and trendy, popular with both the hip and the square. It prompts images of everyone from Midwestern farmers, Scottish clansmen and British royals (Prince Charles is a fan) to 90’s grunge. Yes, Columbus has its own Scottish Festival and Highland Games, and some town-folk of Scottish descent, but also more than its share of the hip and the modish, a more likely cause of its fondness for plaid. 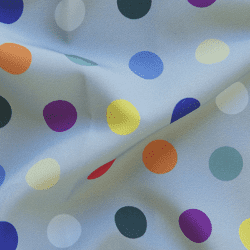 Analysis Lovers of polka-dots, found one recent study, are dynamic multi-taskers. This is good news for Dallas, hitherto better known for the Dallas Cowboys and their cheerleaders and for Kennedy’s death but from now on to be famed as the polka-dot capital of America. Although Dior tried to move them upmarket, polka-dots, like Dallas, are an American classic, worn by everyone from Rosie the Riveter to Marilyn Monroe – but never with greater panache than by Emmitt Smith, the legendary Cowboys running back, still fondly remembered for nailing the spirit of the city by showing up for his press conference on joining the Cowboys 25 years ago in a… brown and yellow polka-dot jumpsuit. Analysis The “Retro Run” 5K race staged in Greensboro each summer asks runners to turn up in bell-bottoms and tie-dyes and offers a prize for the best retro running outfit. But is this cause or effect of Greensboro’s fondness for retro design, now made official by its proclamation as the official U.S. capital of retro? 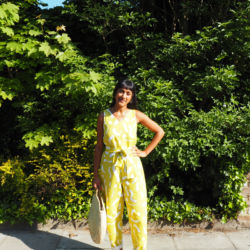 Retro, however, is not just about bell-bottoms. It can also mean rockabilly, cat-eye glasses or old video games – almost anything from the recent past. It’s about nostalgia, with a half-dose of irony and another of longing – but often expressed by those who weren’t actually around at the time being recalled. Analysis Named after a general in the American Revolutionary War but these days better known for its Civil Rights Museum and the famed sit-ins that inspired it, Greensboro is American to its core – the perfect place to be the U.S. capital of stars. Analysis What could be more American than stripes (alright, except stars)? 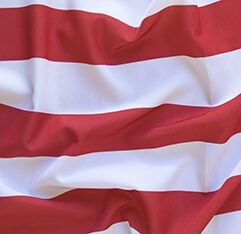 So, where better than Arlington, Virginia, a suburb of America’s capital, and home to the national cemetery and three major military memorials, to be the U.S. capital of stripes? 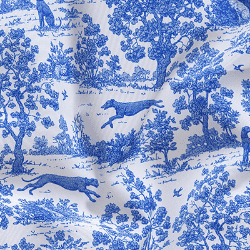 Analysis Toile de Jouy fabrics and wallpapers traditionally show pastoral or historic scenes. Invented in Ireland in the mid-18th century, toile – from the French word for linen cloth – then grew popular in both France and Britain, whence it was reputedly brought to America by Benjamin Franklin. It has enjoyed periodic revivals ever since, the latest starting early this century. San Jose may be California’s oldest settlement, founded in 1777, and among its most educated, but it also boasts the most concentrated tech cluster in the world. What better relief from all that gleaming technology than some escape to the rural past in the form of a pastoral scene once enjoyed by British or French aristocracy? Analysis Who would have thought? The Californian university town famed half a century ago as the U.S (world?) capital of hippiedom now turns out to be the first official U.S. capital of Victorian décor. How have the mighty fallen and the hip turned square. This may be because higher house prices have attracted a more affluent and – whisper – conservative type. But it may also be due to the many Victorian homes in the area and a simple desire for décor in keeping. 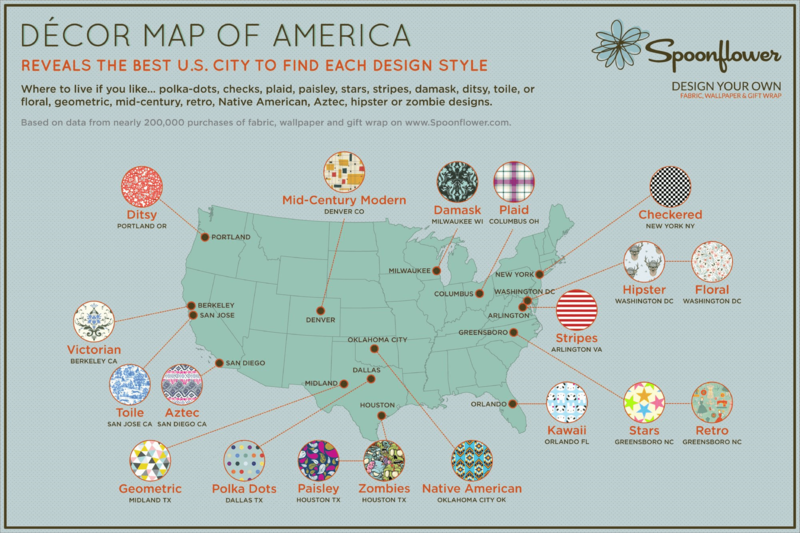 Analysis The title of “Zombie Capital of America” is as big as it gets in the world of zombie décor – at least when bestowed by Spoonflower, the world’s leading source of zombie fabric and wallpaper designs, with over 400 examples to choose from. 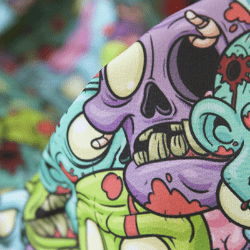 Many cities aspire to it but now Houston alone can lay claim to it, on the grounds that its residents buy more custom zombie designs per head than those in any other city in the country, if not the world. Like we say – as big as it gets. 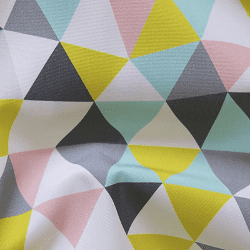 « Announcing the Top 10 Fitness Fabrics!